Last year brought a lot of exciting science news for EAPS, as well as many new faces, several of which joined us last month. Andre Souza is a research scientist EAPS with the Ferrari group. He has worked on optimal control methods for bounding transport quantities of interest, rare events in dynamical systems, discovering complex singularities of turbulent signals, and machine learning methods for discovering dynamics. His present research focus is on developing novel parametrization schemes for the oceanographic component of climate models as a part of the Climate Modeling Alliance. 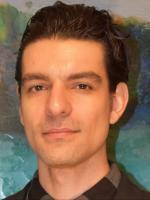 Souza earned a PhD in Applied and Interdisciplinary Mathematics from University of Michigan. 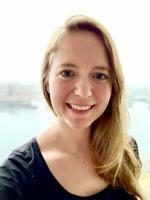 Elizabeth Shoenfelt holds a W. O. Crosby Postdoctoral Fellowship and will be working with the Babbin group in MIT's EAPS. Her research interests include global-scale interactions between minerals, biology, and the atmosphere – namely how mineral nutrients (like iron) move from bedrock to influence growth of photosynthetic organisms that modulate atmospheric CO2 and climate on geologic timescales. Dr. Shoenfelt’s research often focuses on dust, as it is a major source of terrestrial nutrients to the open ocean, and her previous work has found that the mineral composition of natural dust changes on glacial-interglacial timescales, impacting its ability to fertilize iron-limited phytoplankton and influence climate. She is also interested in how the formation of biominerals in the ocean impacts the biosphere and the global climate cycle, since these minerals can accelerate the export of carbon to the deep ocean. To answer questions related to these big-picture topics, she uses analytical chemistry (including synchrotron-based methods to study metal speciation), marine sediment cores, and laboratory cultures to study interactions at the mineral-phytoplankton interface and to reconstruct the speciation of solid-phase iron that reaches the ocean over time. Her work is also relevant to understanding various mechanisms represented in global biogeochemical models. Dr. Shoenfelt received her undergraduate degree from the Department of Geosciences at Princeton University. She recently completed her PhD in the Department of Earth and Environmental Sciences at Columbia University’s Lamont-Doherty Earth Observatory, funded by a National Science Foundation Graduate Research Fellowship and the Lamont Climate Center. 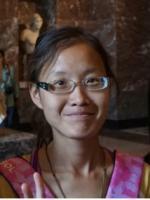 Ya Huei Huang is a postdoctoral associate in MIT's EAPS working with the Soderblom group. Her research primarily focuses on the moon and is to understand how numerical modeling constrained by observation data such as spacecraft-acquired data sets and returned lunar samples can help us to understand the lunar bombardment history and regolith transport process driven by impacts on the Moon. Huang has a PhD in Planetary Science from Purdue University, USA (2018), an MS in Physics and Astronomy from National Tsing Hua University, Taiwan (2010) and a BS in Physics from National Chung Cheng University, Taiwan (2008). Yuwei Wang is an EAPS visiting scientist, working in ERL with Norimitsu Nakata. His research is on seismic imaging of the lithosphere and petroleum basin using the theories and approaches of geophysics. He's interested in developing advanced imaging and inversion techniques for better understanding of elastic heterogeneity and anisotropy of the Earth’s media within seismic frequency-band. Wang's objectives include improving the capability to characterize subsurface structures with high-resolution, and to monitor the production of petroleum and geothermal resources. 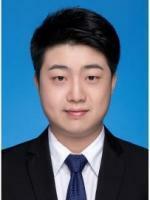 Wang has a PhD and MS in Solid Geophysics from Tongji University, China. He also has a BS in Geophysics from the same university. She has a PhD in Geophysics from the University of Western Ontario, and an MS and BS in Engineering from Kyoto University. Norimitsu "Nori" Nakata joins ERL in MIT's EAPS as a principal research scientist. Before coming here, he was the Lissa and Cy Wagner Assistant Professor at the University of Oklahoma. Nakata is working to gain a better understanding of natural and manmade structures by analyzing seismic waves. Although the laterally averaged (i.e., 1D) Earth's seismic-velocity structure has been known accurately since the 1940s, subsurface is heterogenous in 3D, even 4D. Understanding these heterogeneities is key to understanding Earth dynamics. Among the topics I am interested in is predicting ground motion caused by large earthquakes, understanding earthquake source physics, discerning the history of the Earth, anticipating volcanic eruptions, and imaging the distribution of natural resources (e.g., petroleum, mines, geothermal). Seismic waves sample Earth's interior, and hence we can obtain information of the Earth in 3D. Temporally repeating these measurements opens a window into the dynamics of the Earth. To extract such information, Nakata uses manmade seismic sources, earthquakes, microseismic, and natural and anthropogenic background noise (aka ambient seismic noise). He holds a PhD from the Colorado School of Mines, and degrees from Kyoto University: MS in Civil and Earth Resources Engineering and BS in Global Engineering.